This session will focus on the HR legislative issues expected to be considered, and provide an up-to-date overview of current federal regulatory activity. The 114th Congress and the Obama Administration have propelled important HR public policy issues to the forefront of activity in Washington. Many issues of importance to the HR profession are at the forefront of consideration of Congress and the federal agencies. Key issues include tax reform, the Affordable Care Act, new workplace flexibility options, and perhaps, even immigration reform. This presentation will focus on the HR legislative issues expected to be considered, as well as provide an up-to-date discussion on current federal regulatory activity. 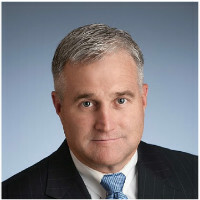 Mike Aitken has worked at SHRM since 2003 and currently serves as the Senior Vice President of Government Affairs. Prior to joining SHRM, he served for 14 years as associate director for Governmental and External Relations at the College and University Professional Association for Human Resources (CUPA-HR). Previously, Aitken worked on state public policy issues at Bonner & Associates, a public affairs firm in Washington, DC. Currently, he is based in Alexandria, VA.